Written by: Moses Avalon on January 21, 2013. 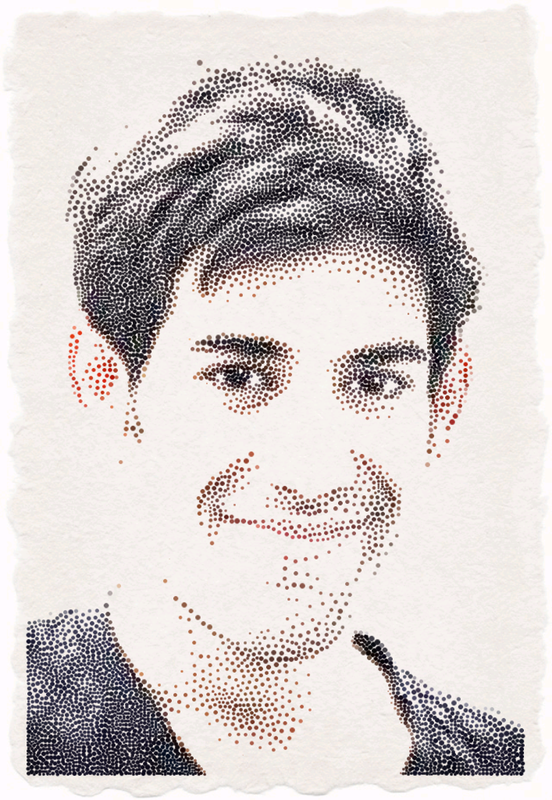 Earlier this month Internet freedom-fighter Aaron Swartz was found hung in his Brooklyn apartment. His parents blame the “overreaching” District Attorney threatening 30+ years incarceration for Swartz’s theft of research from the Massachusetts Institute of Technology. Faced with long prison time and huge fines, his parents claim their outspoken, media savvy son took his life but left no suicide note. Or maybe they just didn’t look in the right places. Those who know me, know when it comes to the values of activists, I speak from experience; any dedicated activist like Swartz expects prosecution for their “crimes.” Some would argue they welcome it as vindication. Which, coupled with recent discoveries: that the DA offered Swartz a plea bargain with a paltry six-month term; that Swartz’s lawyer, Elliot Peters, discouraged the deal– feeling the case was winnable; and an announcement days before the tragedy that MIT was freeing the stolen files and objecting to felony charges, creates frustration for the support of Aaron’s Law, and challenges the image of Swartz as a persecuted victim driven to a desperate act. True. But what we may not agree on, is what exactly threatened him. According to Swartz’s girlfriend, who discovered his body, there was no note, but perhaps in her shock she didn’t look in the right places. Contrary to popular belief suicide notes are rare. Only one in three suicides are accompanied by anything written. Even when one applies a filter to Swartz’s demographic: educated, male and publicly outspoken, there is no certainty. Hemingway left nothing, letting his work speak for itself. What were Swartz’s last computer entries? Did he Google methods of suicide, or were his thoughts elsewhere? What sites did he visit; emails did he send; links did he click on? His Twitter feed shows nothing since December 8th, two days before his death. Yet he sent daily Tweets to his 12,000+ followers in the weeks prior. Was Swartz trying to cope with something he was hesitant to reveal? Did he email anyone for clarity? Whatever it was, his final bread crumbs are stored in his now famous Acer lap top. A virtual suicide note, as it were. No rule says you have to pin your note to the refrigerator, “Back in five minutes…” Or something like that. So far the family has not shared Swartz’s final key-strokes with the public, closing interpretations. With which survivors might Swartz be angry? Are there clues? Eventually his definition of “free Internet” would have to expand beyond democratizing information. The next logical step would be democratizing how information is filtered in Search, specifically a Google Search. Or, how about decentralization of access to the Internet itself. The average household spends over $900/year with just a handful of options for access. Why shouldn’t that be free? And so, what if it turns out that his new idea of “free” no longer romanticized those for whom he once fell on his sword— the Big Data Internet Service Providers? Maybe he began to see, like most adults approaching 30, that freedom is not so black and white? But, this type of pax humana would surely be in conflict with his mentor, Lawrence Lessig. Swartz’s death has inspired a deep sleeplessness within him. Why? 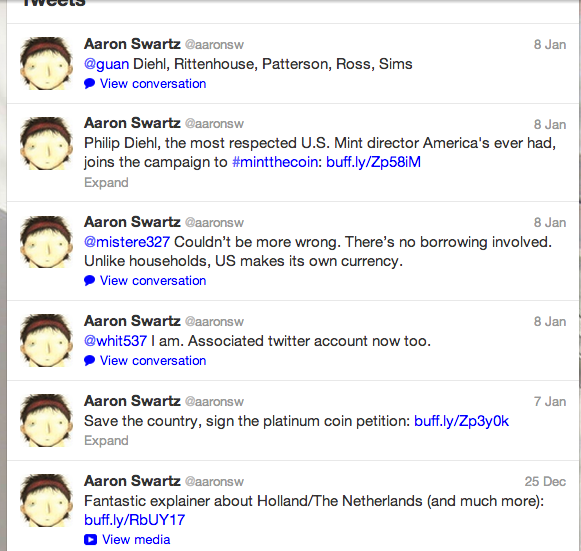 Did Lessig, like others in the movement push Swartz to turn down the plea, but refuse to help him pay for his defense? Does Lessig know that such a revision of ideology would also make more aggressive enemies for his protege than past attacks on musicians, authors, or even MIT; enemies whose tactics Lessig is very familiar? Maybe from Swartz’s view, to shift his position even slightly would be distressing to family and followers, but to go forward to the next level, too dangerous for himself. On one hand he was being pushed to be defiant, but on the other the word is that the trial was too financially draining. Would no one help him? Could this be the pressure he was experiencing in the end and not the thought of adding a few more lower-class felonies to his existing felony resume? If true, he would be in good company. History is rife with prophets who felt trapped between their conscience and benefactors thus preempting their own demise. when you are already an Internet icon. I hope this soon changes. There is a great deal to be learned from the last actions of a young genius working on the inside rail of the country’s most evolutionary technology. A lesson forever suppressed as long as those controlling the conversation focus on soft targets and ignore the bread crumbs left by a brilliant man’s final interests in life. Another good one, Mo, thank you. Plenty to think about there, Mo. Thank you. we were born with something called “intuition”. IMO if there is no suicide note one should ask the question: was it a suicide then? That was my gut reaction as well. But, in researching this piece I learned that suicide notes are much rarer than people think. My focus has been in questioning his motives. It just doesn’t seem likely that an outspoken thinker ike this would choose suicide over a minor felony conviction, considering his existing feloy record. I agree. But I do trust my gut feelings over statistics. You know how it goes: “never trust a statistic if you aint corrupted it yourself”. The thing that doesnt make sense is that you have to be wa down in living hell to only consider to commit suicide, far off the tracks of your hearts purpose. But if you follow your true ambition (and if people are real good at sth -> Aaron <- I believe they're at least not far behind), thats more like "lust for life" than anything else. Hmmmm…. Apparently I am missing something, so please help me out. This” activist”committed crimes.He was prosecuted. The District Attorney’s Office has a job to do and that is to protect the public. I wonder ,what blame, if any, his parents share, and what their view of one who commits crimes happens to be? It seems the Dist. Atty.’s office balanced justice along with mercy considering what appears to be a very reasonable plea negotiation offer. Blaming the District Attorney’s Office for doing their job is totally off-base.why would his lawyer subject him to a trial when the plea offer appears to be reasonable?An activist does not need to commit crimes to be an activist. Apparently, he had some other (non-internet) issues. What has “being an internet freedom-fighter” to do with breaking into MIT’s databank and theft of “research information”? What did he want? Anarchy?- no law, no ownership, no privacy? Six month sentence means that you will only spend 60 days in jail (at most). The bottom line – “you play – you pay”. This boy had evidently some mental problems. Summarly, 40 days later, is there anyone that still remembers who Aaron Swartz was? Doubt it..
You’d be shocked. Google him. The story has legs. Well, if he really did commit suicide (and if you really believe the “official story”) you might be right to say he was a coward. But you know the story about who should throw the first stone… What do we actually know? Nothing! But the guy is dead most definitely. And we know the “official story”. Thats about it. Why did he really die? Why did things happen? Follow the money! And btw Robin Hood was a good guy IMHO and the “official story” in his day and age would have been that he was oh so bad, possibly a coward post-mortem. I dont point no finger here, just saying. Cheers. Ok, but let’s be clear, im not saying he was a coward. I’m asking if there was something deeper pushing him over the edge than his pending trial; a trail he could have avoided by accepting six months in minimum security and emerged the other side a hero for his cause. Sadly, I`ve read some articles where the conspiracy theorists are now claiming THE GOVERNMENT killed him because he “discovered something” [whatever THAT may have been] and was silenced before he could talk. Ok, the Feds already had the guy; as Mo stated, he could have taken the deal, gotten 6 months in minimum security and then get praised as a “hero”. Instead, he [or his lawyer] refused, and he was facing a couple of years in the federal pen. Either way, the feds had him; why would they then decide to assassinate him? *sigh* There were similar theories w/ 911, the Colorado theater shootings, the Conn. school shootings; rather than believe there are monsters in our midst capable of such horrific acts, it HAS to be THE GOVERNMENT. Much easier for the mind to accept, I suppose. And now rather than accept that Aaron had mental issues, was emotionally incapable of handling the consequences of his actions and took the easy way out, his supporters [and family, it seems] claim THE GOVERNMENT got him, too. Too bad he didn`t take a moment to think; he might have wondered “What am I thinking?” and decided to live and fight. Again, where were his family, friends and supporters when he needed them? Blaming THE GOVERNMENT for his death seems to assauge whatever guilt they may feel, I guess. Another point of view I`ve been reading about is that THE GOVERNMENT put SO much pressure on little Aaron that he cracked and they MADE him kill himself. Pressure? We ALL get put under pressure. Whatever pressure Aaron was under was from a situation of his own making. Pressure? Why not talk to the former occupants of the Hanoi Hilton about pressure? Or how about discussing pressure with concentration camp survivors? Extreme examples, but the point is that pressure CAN be dealt with. If you can`t take the heat, get out of the kitchen, which is what Aaron chose to do, permanantly. Sorry, but I can`t feel sorry for someone like this. Now he`s being hailed as a visionary, a prophet, pick your cliche. Well, any “movement” whose leader kills himself because he was “under pressure” is doomed from the start. Thank God this guy wasn`t in charge of the American Revolutionary War; we`d still be a British colony! IMO everything is possible til it is proven wrong.